$99* --- Flexi voucher --- "1"- 1 x 50 unit / 30 day block. Activate each 30 day block when you need it & save! $169* --- Flexi voucher --- "2"- 2 x 50 unit / 30 day blocks. Activate each 30 day block when you need it & save! $249* --- Flexi voucher --- "3"- 3 x 50 unit / 30 day blocks. Activate each 30 day block when you need it & save! $319* --- Flexi voucher --- "4"- 4 x 50 unit / 30 day blocks. Activate each 30 day block when you need it & save! 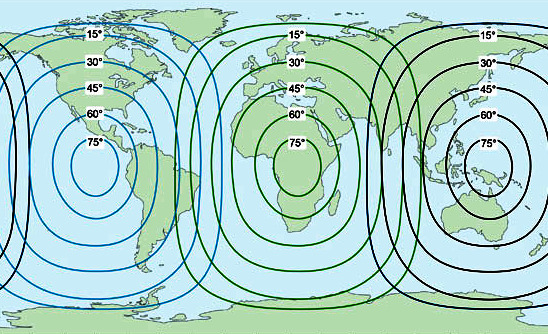 *Inmarsat (the owner of the satellite network) introduced a new pre-paid format as of April 2017. ClientSAT pricing is for the new format. Not all suppliers are yet to advertise the new format and some are selling vouchers that are not for the full 365 days! All of our vouchers are "fresh" and are valid for 365 days form purchase date. Whilst we understand that prices have increased, Inmarsat is still good value. An Iridium 30 day card is $239!! If your sim card was not supplied by ClientSAT please contact us before making any purchase. If your current ClientSAT sim card was supplied before 2012 then please contact us to ensure that these latest voucher options are available to you. If needed we will upgrade your old sim card for free. Air time vouchers - We now provide vouchers for topping up & adding airtime to new Inmarsat pre-paid sim cards. You chose when to use your airtime. Think of a voucher as you would a spare can of fuel for your vehicle. Carry it with you until you need it. You can activate the voucher whilst in the field so your purchased time starts from that moment, just like pouring extra fuel into your vehicle when your tank is low. A voucher(s) must be activated using the PIN numbers before the voucher expiry date shown in your voucher email. Confused? Please contact us so we can talk you through what is best for you. To activate the voucher go to MENU > SETTINGS > PREPAY > REDEEM VOUCHER and then enter the voucher number and press the Send key. To check your account balance & voucher expiry date take the phone outside so that it can see the satellite. Then go to MENU > SETTINGS > PREPAY > BALANCE ENQUIRY. The information will then be dispayed on the screen of the phone. This is a free service. How much time do I get for one unit of airtime?